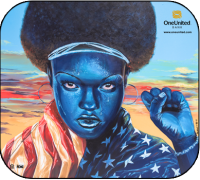 We want you to get the Mona Debit Card so you can #BankBlack and #BuyBlack everyday. Be part of the movement to demonstrate our economic power in America. Your dollars have power. Black spending power in America today is over $1.2 trillion dollars. When focused on improving our neighborhoods, communities, and supporting other Black-owned businesses, those dollars become a powerful tool for change.